You are here: Home / Outbreaks / Fareway Chicken Salad Salmonella Outbreak: How Do Pathogens Get Into Ready-to-Eat Products? A huge Salmonella Typhimurium outbreak in Iowa has been linked to recalled Fareway chicken salad. At least 94 people are sick in that state, and one person in Minnesota is sick. There may be illnesses as well in Nebraska, South Dakota, and Illinois, states where Fareway Foods has stores. The USDA has issued a public health alert about this problem. How does chicken salad get contaminated in the first place? Anyone who is familiar with food safety understands that chicken is commonly contaminated with this pathogen. But chicken salad is made from cooked chicken. The answer is that foods can be contaminated anywhere along the food supply chain. Contamination can happen if the chicken is not properly cooked to a safe final internal temperature. Cross-contamination could have occurred where the salad was made, if uncooked chicken came into contact with cooked chicken. There could have been a problem with one of the other ingredients in the salad: vegetables, spices, herbs, mayonnaise can all contain pathogenic bacteria. Vegetables, for instance, can become contaminated in the field from poop from animals and birds. Contaminated runoff water can be a factor, as can contaminated irrigation water. 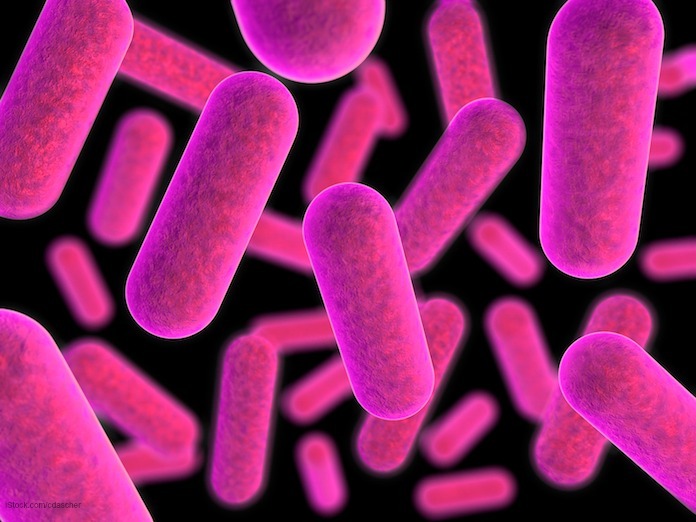 These products can pick up pathogenic bacteria if they are transported in dirty containers. Spices often carry pathogenic bacteria. A recent FDA analysis found that paprika, granulated garlic, and red and black pepper can be contaminated with Salmonella bacteria. The next issue is that these foods are combined in large batches. One contaminated bunch of celery, for instance, can add pathogenic bacteria to a large batch of chicken salad. Then that product is distributed to many stores in many states. If the product is not held at the proper temperature during transport and storage, more bacteria can grow. So how do you protect yourself against this issue? The only thing you can do is to observe ready-to-eat foods before you buy them, and to follow recall announcements. Never buy ready-to-eat perishable foods at any store that are not held at safe temperatures. The symptoms of a Salmonella infection include nausea, abdominal cramps, diarrhea that may be bloody, vomiting, and a fever. If you have eaten Fareway chicken salad and have been experiencing these symptoms, see your doctor for treatment. And if you have the recalled salad in your home, dispose of it immediately. If you or a loved one have been sickened with a Salmonella infection after eating recalled Fareway chicken salad in Minnesota, Iowa, Illinois, South Dakota, or Nebraska, contact our experienced attorneys for help at 1-888-377-8900 or 612-338-0202. 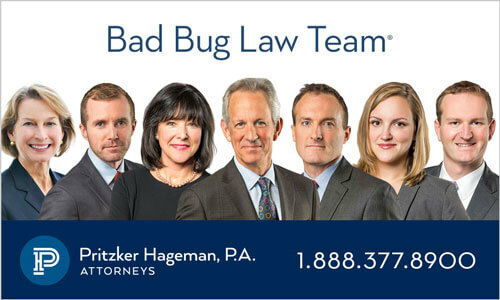 Pritzker Hageman, America’s food safety law firm that is based in Minneapolis, successfully represents people who have been harmed by adulterated food products in outbreaks throughout the United States. Its lawyers have won hundreds of millions of dollars for survivors of foodborne illness, including the largest verdict in American history for a person harmed by E. coli and hemolytic uremic syndrome.